When you think of All Inclusive hotels, you may wonder what they offer: the service, the accommodations, the amenities- but one of the most important factors is the food. It turns out that it is very common that after visiting the restaurants at the majority of these hotels, you are left with the feeling of having paid for something that simply did not meet your expectations. It can easily be said that it is difficult to find an All Inclusive with world-class cuisine, rich in flavor and variety, created by acclaimed chefs such as those found in the best restaurants in New York, Paris or Rome. Grand Velas Riviera Maya breaks the mold with an authentic culinary tour of five gourmet restaurants, each with a uniquely talented chef. To begin the gastronomic event Piaf and its menu of French haute cuisine await, created by Chef Michel Mustiere. Here the ambience and aromas of Paris are invoked through lamb filet in thyme sauce, ratatouille and authentic French onion soup with Gruyere. The final sweet touch is a tulip of almonds on a bed of pineapple with saffron. 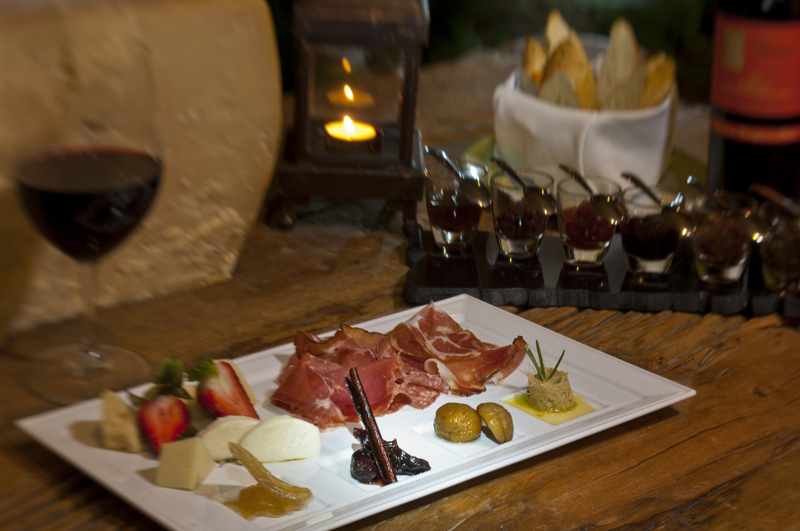 At Lucca, the whole family can enjoy the cuisine of Italy, with its authentic flavors of the Mediterranean. Menu samplings include fresh fish, seafood and pastas, such as linguini with lobster and cream of clam and shrimp with marjoram and toasted almonds. For dessert, bittersweet chocolate ravioli filled with ricotta cheese and cinnamon and basil granita. The journey continues to the distant lands of the East with Sen Lin. Duck marinated in ten spices with plum sauce, seafood soup with coconut and warm lobster slices in masago sauce are just a few of the ways to enjoy the intensity of the flavors of Asia. The Mexican cuisine of Frida is another station on this tour, where homage is paid to traditional dishes with a gourmet brushstroke, turning them into works of art. At this family restaurant you must try the lamb crusted in bread and oregano in birria reduction, the red snapper filet in squash flower sauce with huitlacoche, or corn truffle, and at the meal’s end, a chocolate mousse with mole poblano, amaranth and pumpkin-seed crisp, and rum caramel sauce sauce. At Cocina de Autor, the signature restaurant of the resort, talented Basque chefs Bruno Oteiza and Mikel Alonso join forces to create sensations and emotions through cuisine filled with energy and creativity. As they say, their dishes are “created according to the whims of nature”. Menu items include venison with transparencies, bronzed sculpted sea bass and fresh tuna. Tapioca with coconut, chocolate with beeswax, and passion fruit biscuits crown this Spanish flavor adventure. Tour the world of artful and exotic cuisine. Enjoy these gourmet creations, on the only culinary tour in the area.